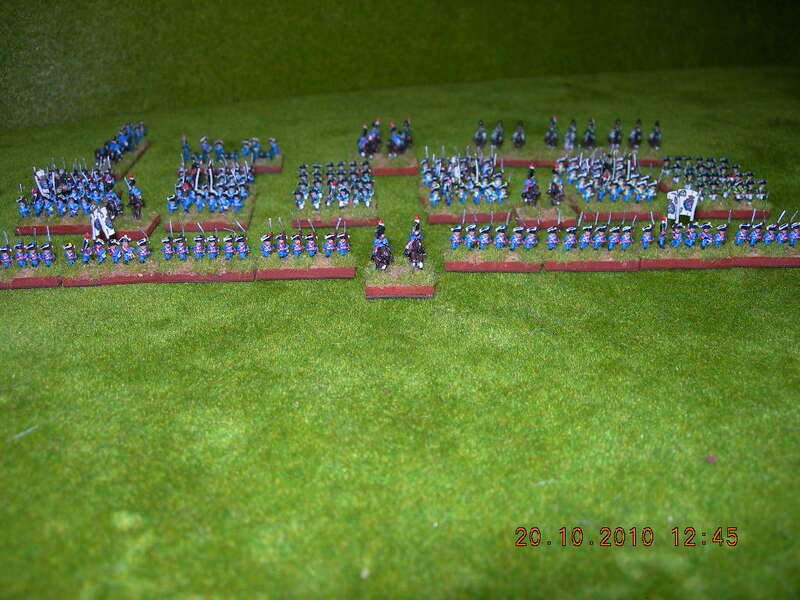 Hiya, I have recently purchased some Baccus 6mm French and British armies, which come in blocks of 3 infantry figures. 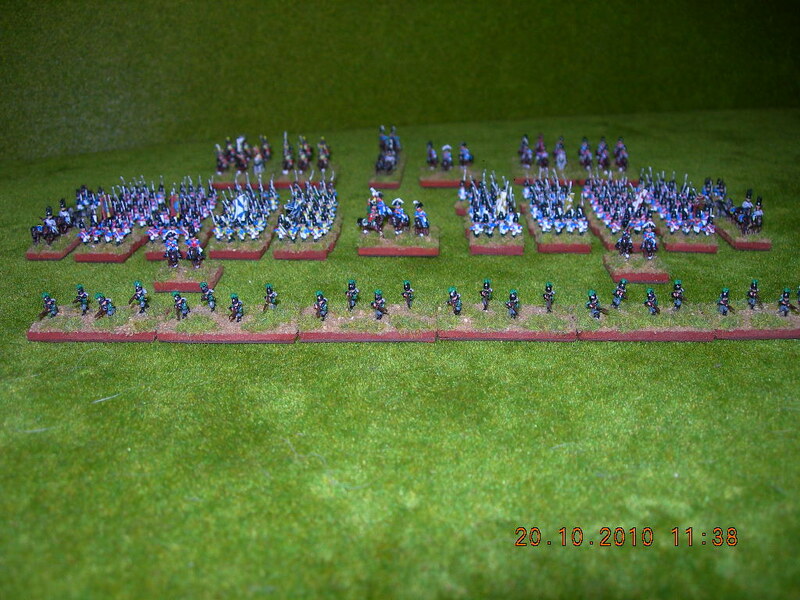 Basing French troops I'm okay with, however, can anyone advise how best to base my British infantry? I have a heap of information in the files section of the LFS Yahoo group. Pretty sure Baccus come in strips of 4 @ 20mm. Thanks Zippee, I'll take a look at the Yahoo group. I did initially think that this forum had replaced the Yahoo groups. You are correct, they are in bases of 4! You can find a bunch of info under my name on 6mm stuff, although sadly not so much on the British, I don't really buy into the different size basing special snowflake rules for British troops, I'd just use the standard continental frontages were I ever to bother with them. I'm still not sure how you based your miniatures. Are these 6 miniatures on a 2x2 cm base? And alas, I am about to start a British army, which is not thoroughly covered by your spreadsheet. Has anyone already figured out a good way to base 6mm Brits? I am totally unsure because of the varying bataillon frontage. The Hessians are in battalions of 4 companies. Each company/base is 6 figures on a 30mm x 10mm base. The Badeners are in battalions of 6 companies. Each company/base is 4 figures on a 20mm x 10mm base. The light troops are duplicated on skirmish order bases - in the case of the Badeners above that's bases of 40mm x 20mm with 4 figures. I have little to no interest in the British and really don't agree with the premise that they should be represented differently. If the same basing construct is expected to work for 1805 Prussians and Saxons, 1809 Austrians and 1812 Russians then it should be perfectly acceptable to the British too. The rules give a figure ratio of 100 : 1 for 15mm figures. Continental troops in the Napoleonic Wars fought in three ranks and the Brits & KGL fought in two ranks, in the Peninsula. If you are to fight historical battles. ie. Set out the battlefield on the table and place the figures in their historical positions, list all reinforcements and have them ready to move on their arrival time. (I presume that this would apply to the French) after that provisional battalions would be formed. The Brits. On the other hand stuck more or less to 18th. Cent formations except for the addition of a light company. Line being the preferred formation. Column was used for manoeuvre and the approach march. Lt.coy. 1st.coy. 2nd.coy. 3rd.coy. 4th.coy. 5th.coy. 6th.Coy. 7th.coy. 8th.coy. Gren.coy. The light coy was joined together with the other light companies in the brigade under the command of a major. Line formed on a half battalion frontage was used when the threat of cavalry was present. Lt.coy. 1st.coy. 2nd.coy. 3rd.coy. 4th.coy. Gren.coy. During an assault the half battalion frontage was easier to hold formation. Also command and control was greatly improved. This reduced the time ended to form square in the event of a cavalry attack. Sorry, should read "between 4 and 7 figures"
I'm aware of that, however plenty of continentals fought in 2 ranks, including the French and the British famously fought in 4 ranks in 1815. All of which is well below the granularity level of LFS. As I said if continental spacing is acceptable for 1806 Prussians fighting in 2 rank lines then it should be just as good for 1811 British fighting in 2 ranks. All LFS really cares about is whether a battalion is large or average - so if it's in the 400 to 600 range it's average "12" figures - in my 6mm basing that's "24 figures", if it's larger than that it's "18" figs or "36 figures" in 6mm for me. All the figures represent are strength points anyway, the actual number is irrelevant. However LFS does ask for 'company' basing and that's awkward for British with 12 or 18 in 10 companies, so a quirky solution is used which leaves smaller British units covering greater frontages than continentals. That also doesn't really matter as the combat mechanic only looks at % overlaps. There really is very little to be gained by over analysing the basing conventions (despite the amount I clearly did in developing my 6mm versions ). As I said, if it was me I'd make them confirm to the continental basing but if that upsets your perception put them on 10 bases with some figures and ensure that the total line frontage is similar to a continental unit.